Summer 2011 is here and it’s gonna be a busy season when it comes to skateboarding contests. There are over 25 major competitions scheduled in the USA and worldwide, let alone local contests, skate demos, festivals and other promotional events. With all that going on it is time now for you to grab a calendar and start marking off which ones they want to follow or watch. In order to help, This is the list of this summer major events. Please, bookmark this page as it will be updated every week with links directly to results, videos, pictures and even interview of the players. freestyle contest) in June. Then, back to back the WCS organizes the Rome World Cup in Ostia Italy, England's Relentless NASS which includes Girlzilla, and eventually the Mystic SK8 Cup in the Czech Republic. 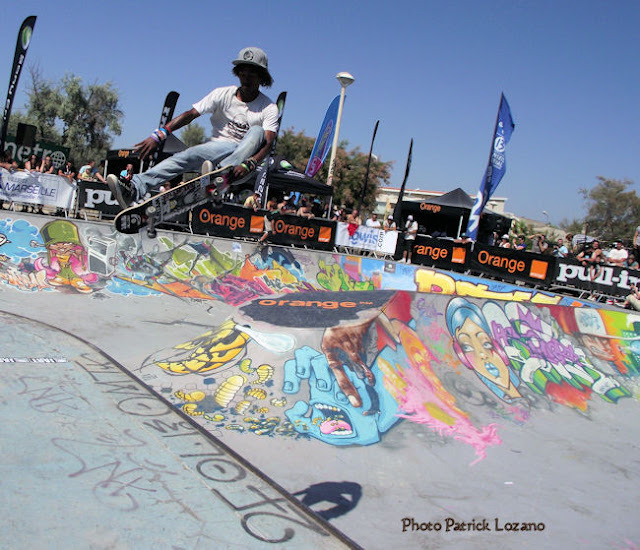 The Orange Freestyle skateboarding contest will be taking place at the legendary bowl of Le Prado in Marseille on June 23rd, 24th, 25th. The Rome World Cup will be taking place t The Spot on July 1st through July 3rd and the Relentless NASS will take place July 8th through July 10th. The Mystic SK8 Cup will take place July 15th through July 17th. Of course, the WCS is also organizing the Pro-Tec Pool Party (who already took place at Vans and saw the victory of #1 Pedro Barros, #2 Rune Glifberg, #3 Andy MacDonald in pro and #1 Chris Miller, #2 Steve Caballero, 3 Lance Mountain) and the girl’s Protec Party at Vans next November. The 2011 MegaRamp Championship Series is a full-sized MegaRamp contest tour and will host three events during this summer 2011. The first is scheduled to take place at Woodward’s premises on June 9 at Woodward West and saw the victory of Bob Burnquist. The world’s top MegaRamp riders will converge on Woodward West to inaugurate the tour with the MegaRamp Open. 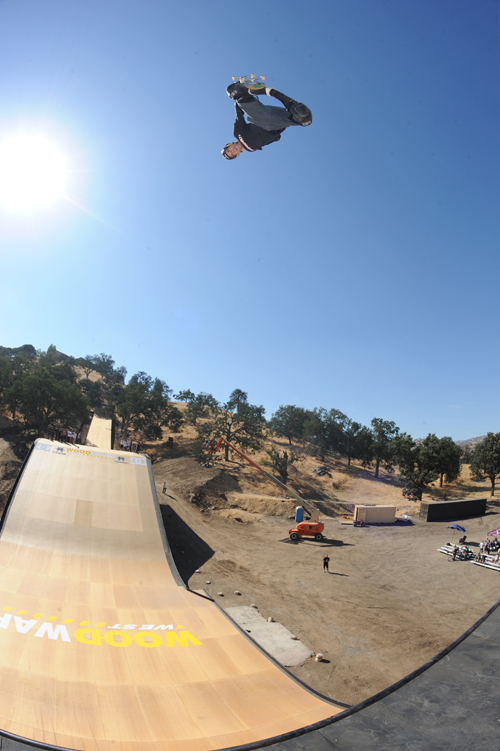 Athletes confirmed on the MegaRamp Open roster include Bob Burnquist (BRA), Jake Brown (AUS), Andy MacDonald (USA), Adam Taylor (USA), and Lincoln Ueda. Judges include legends Danny Way and Christian Hosoi. The competition is open to both pros and top ams and will be a full spectator event. The second stop is on July 2nd and 3rd at the Sambadromo in Sao Paulo, Brazil. ﻿ The last event is tentatively scheduled to take place at the X Games 17 later in the month. The X Games 17 will take place at the Staples Convention Center in downtown Los Angeles from July 28th through July 31st. Tickets for the event are already on sale through Ticketmaster. The Skateboard Park elimination round is tentatively scheduled for July 28th from 2:30 p.m. until 4 p.m. followed by the Skateboard Park Round 1 and the Skateboard Park Final. The men's and women's street competition as well as the Big Air competition is tentatively scheduled for July 29th. On Saturday there will be the vertical competitions. The final day of the X Games there will be the Hometown Heroes competition as well as a Game of SK8. A full schedule and ticket prices are available online. With the Maloof Money Cup competition entering its fourth year in 2011, the competition is looking to expand in a big way by doubling its number of stops and taking the competition international. The 2011 Nike US Open of Surfing will run from July 30 to August 7 at Huntington Beach. With more than 500,000 people in attendance along a 14-acre stretch of sand on the south side of Huntington Beach Pier, the Nike US Open of Surfing showcases the best in surf, skate, BMX, music, fashion and art. The $460,000 US Open is a pivotal point on the ASP World Tour for both the men and women. But, the action will not stop at the shoreline. On the beach, the event will once again host eye-opening tricks from the most talented and diverse crew of riders from across the globe as they skate in a state-of-the-art skate bowl at Converse Coastal Carnage. Be ready to dive into the madness starting July 30. AM SLAM is an amateur skateboard contest series with 5 stops in San Diego County, followed by the 6th which will be the finals at the Mission Valley YMCA skatepark. There are over $10,000 in cash and prizes and the list of sponsors backing this series is huge! There is a limited entry of 30 skaters per contest age group, which you bet will fill up quickly. Especially since its points based and being at every stop is vital. Is this the next big AM contest to hit the skateboarding world? I would think so, seeing as how Sun Diego’s Spring Break Yo’Self contest is a staple in the industry. Don’t be surprised to see Sun Diego’s AM SLAM contest up there with Phoenix Am, Damn Am, and maybe even Tampa Am later. The Zumiez Best Foot Forward Am Finals (BFF) will take place on July 1st at the Mall of America. The winner of the BFF Finals will then proceed to the Hometown Heroes Final to be held later this month. The Volcom AmsterDamn Am will take place in Amsterdam July 1st through July 3rd. The Valient Thorr will also be taking place in conjunction with the skate competition. Log on isTia to see results from the Volcom Amsterdamn Am 2011. The Hometown Heroes tour will be making a series of stops from July 2nd through July 26th. Among the stops scheduled are; a July 2nd Minnesota stop, a July 3rd Iowa stop, a July 5th Missouri stop, a July 6th Nebraska stop, a July 10th Tennessee stop, a July 17th Texas stop, a July 20th New Mexico stop, a July 23rd Arizona stop, a July 24th Nevada stop and a July 26th California stop. In addition to the various qualifier stops, the tour will conclude with a Finals competition to be held during X Games 17. The Red Bull Manny Mania U.S. Nationals will be held July 9th in Los Angeles, California. The winner of the nationals will then proceed to compete in the Red Bull Manny Mania Pro to take place in August. The Gatorade Free Flow Tour will have a series of five stops this month starting with a July 9th competition in Milwaukee, Wisconsin. It will be followed by a July 17th stop in Houston, Texas, followed by a July 23rd stop in Tampa, Florida, and two stops in California. The first California stop will take place on July 2th in the Simi Valley and the second will take place July 30th and 31st in San Diego. Volcom Stone's Wild in the Parks tour will be making a trio of stops this month. The first event will take place on July 9th in St. Cloud, Minnesota. The second event will take place July 16th in Vancouver, Canada and the third will take place July 30th in Portland, Oregon. The Street League will hold its third stop July 15th and 16th in Glendale, Arizona. The Glendale stop will be followed by the championships in August. The Dew Tour will kick off this month in Ocean City, Maryland, July 20th through July 24th. Afterward there will be additional stops in August and September before the championships in October.